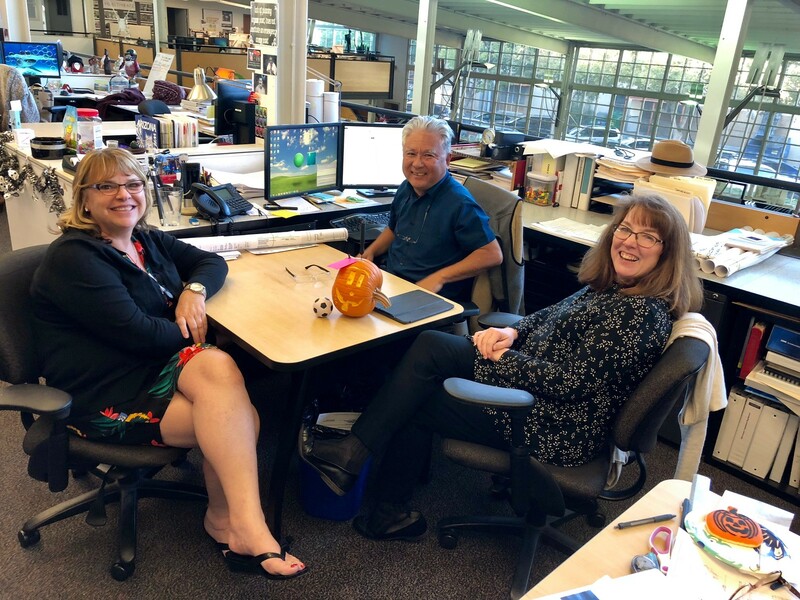 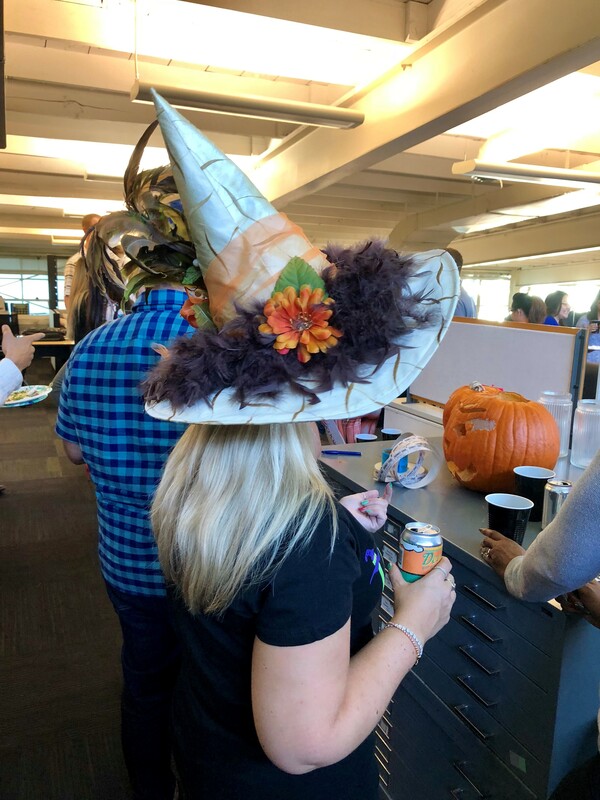 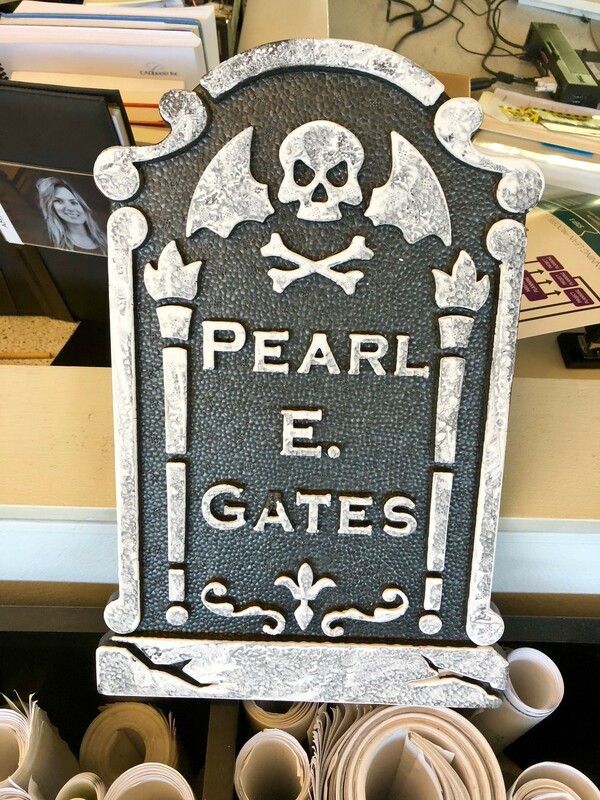 Welcome to Healthcare Design Bar 2018 - Halloween Style! 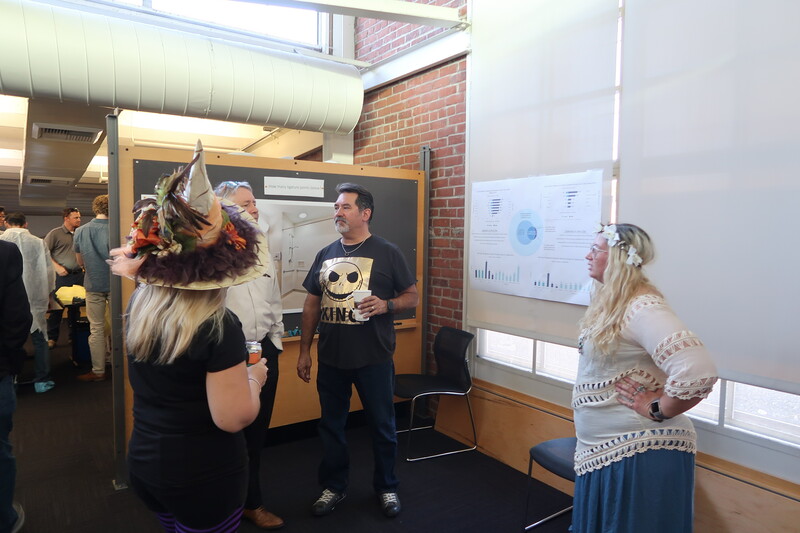 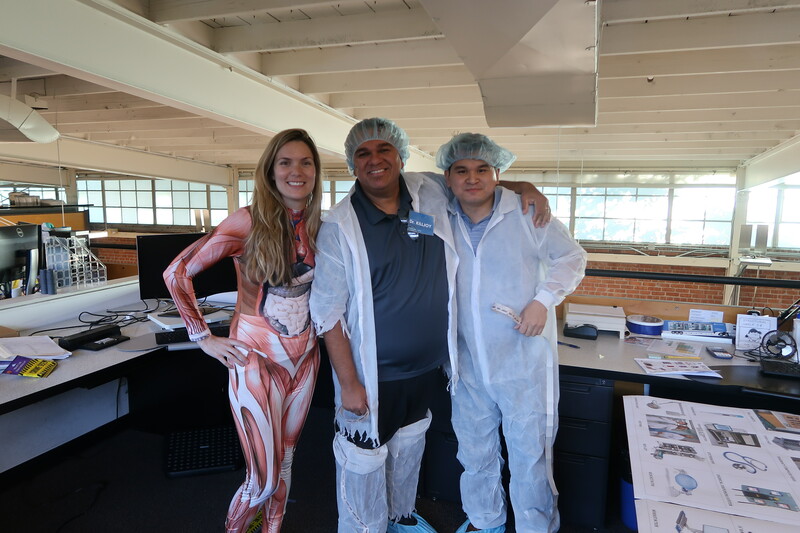 This past Thursday, Lionakis’ Healthcare team put on a display of spooks and frights in their annual Healthcare Design Bar – Halloween style. 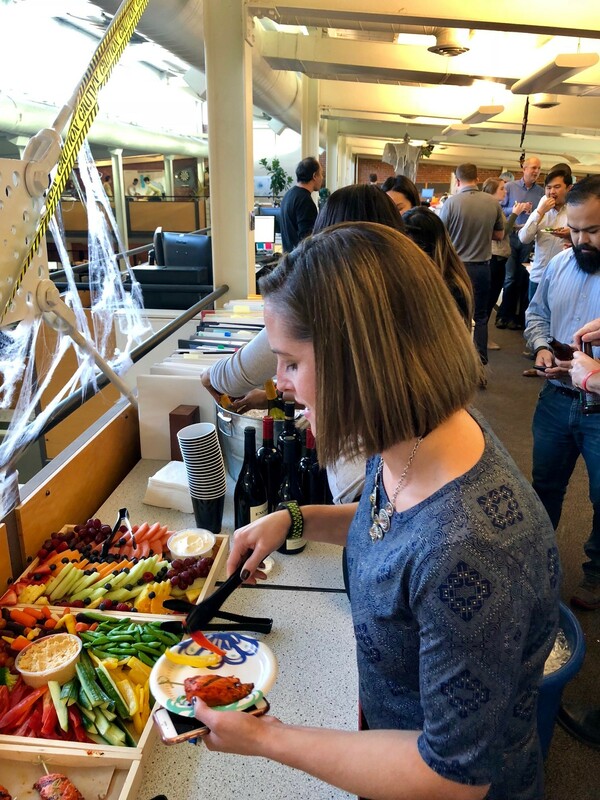 In an ongoing series of after work happy hours, each market throughout the firm takes a turn hosting the event where they share their current projects and expertise in creative and fun ways for the entire firm to enjoy. 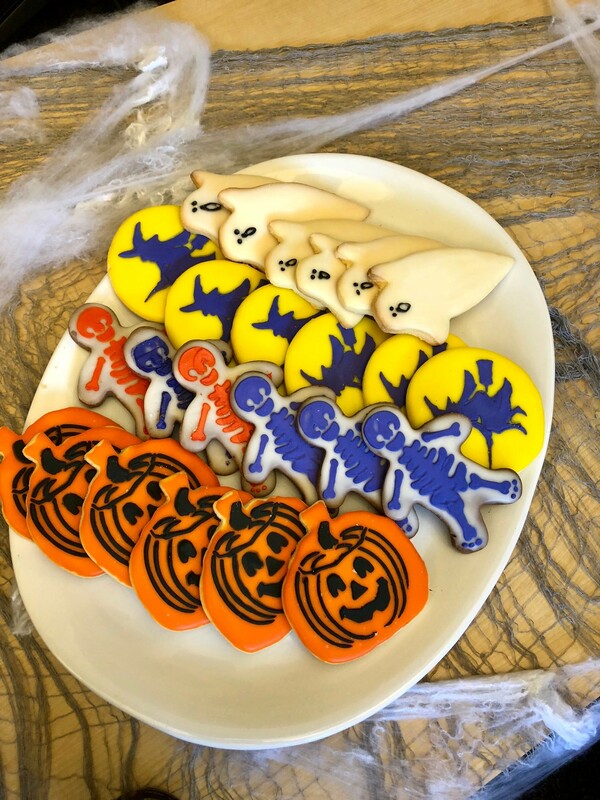 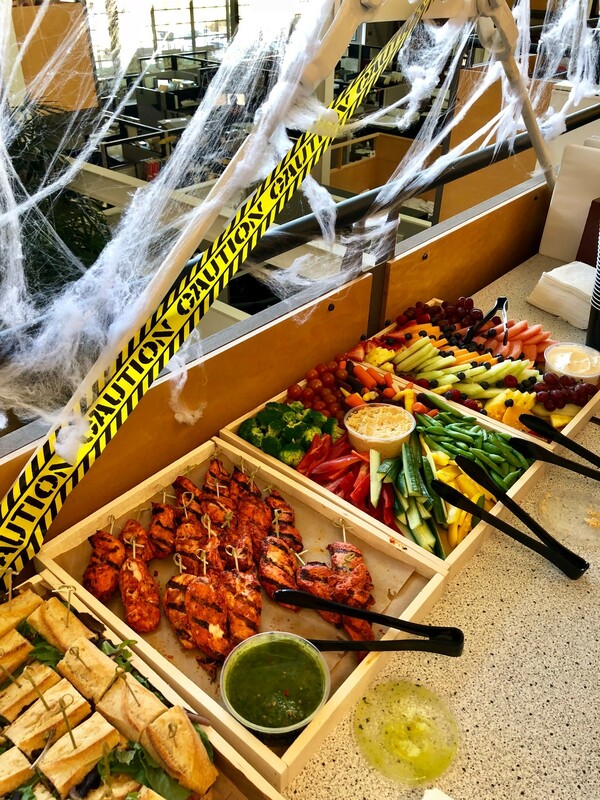 All of Healthcare’s work spaces transformed into a spooky hospital where festive treats and drinks were shared. 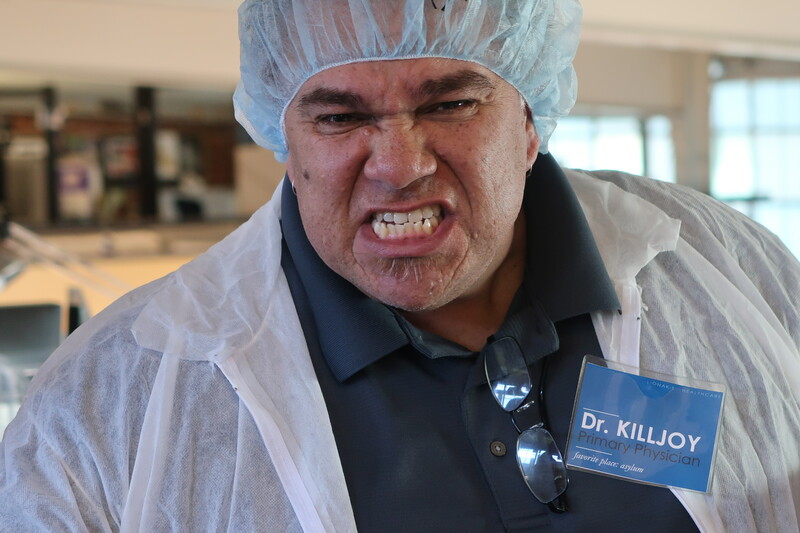 Games and activities included “Bolted” where Dr. KillJoy oversaw participants throwing bean bags onto the gameboard. 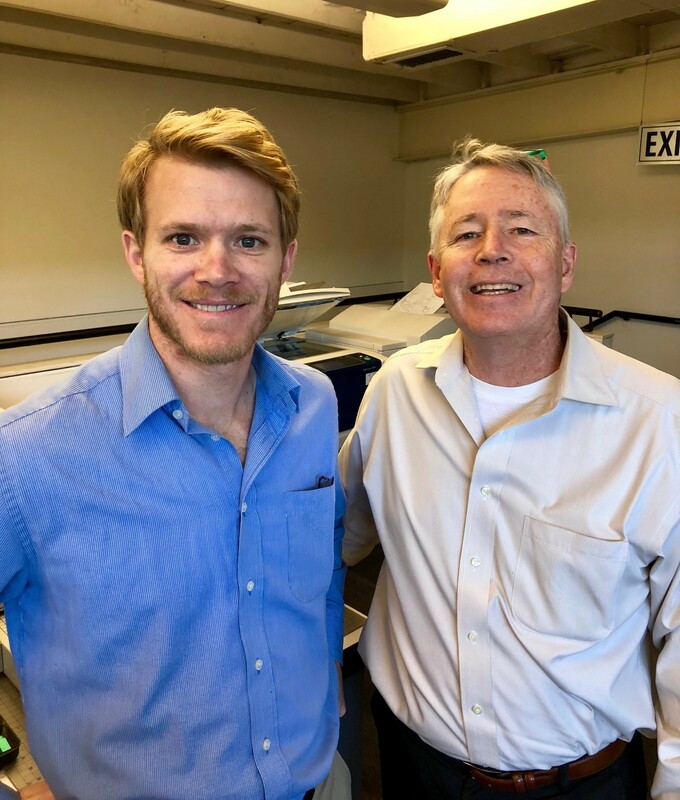 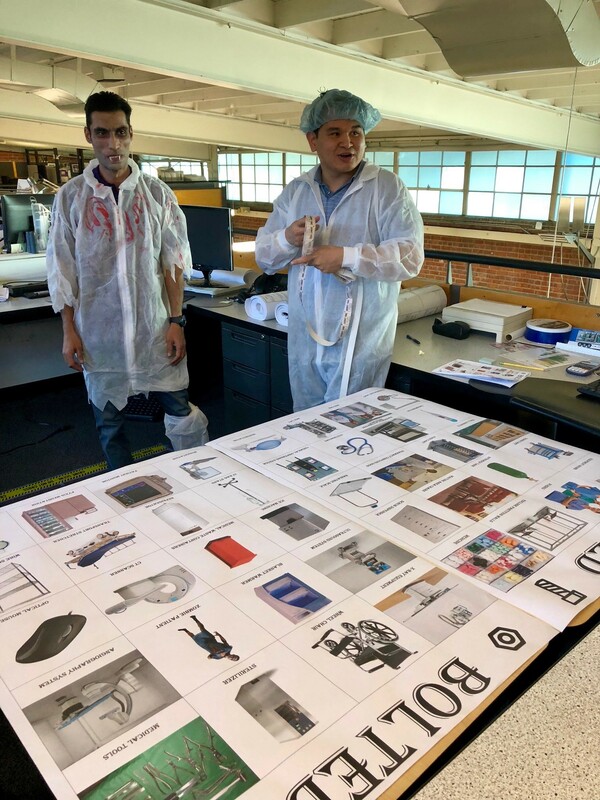 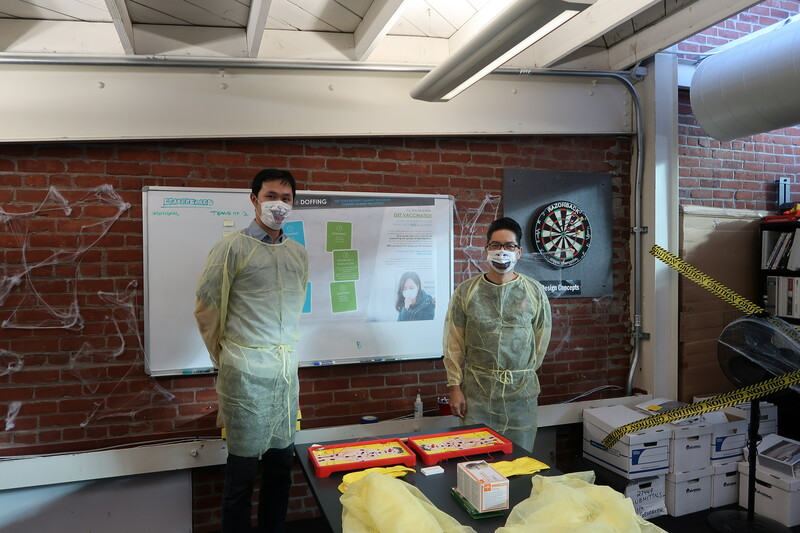 Each player had to guess what medical equipment is required by the Office of Statewide Health Planning Development (OSPHD) to be bolted down in a working hospital. 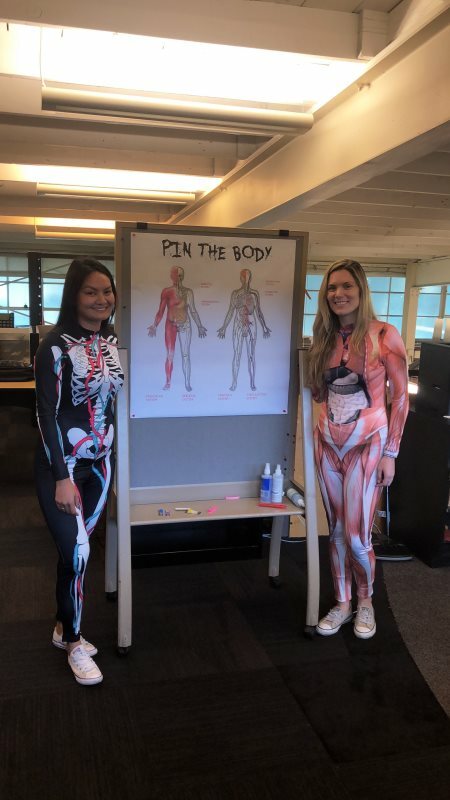 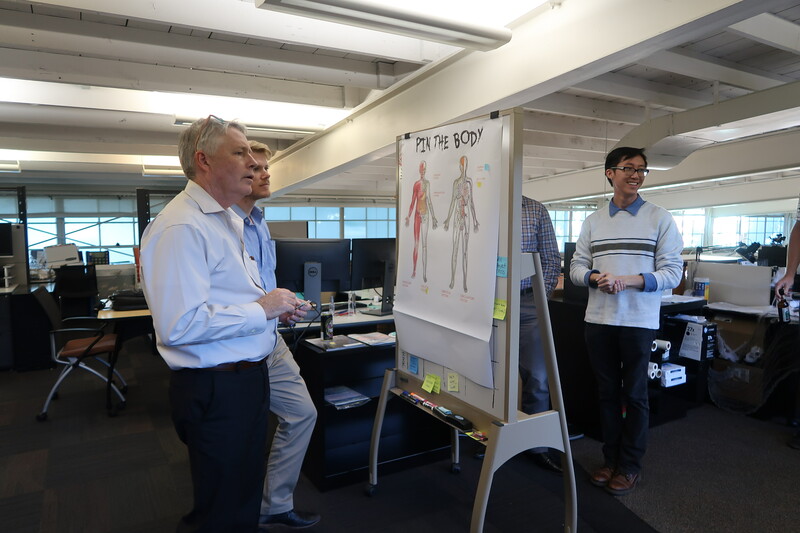 Also included was “Pin the Body” where players had to guess which body part corresponded to which medical terminology, and “Donning and Duffing”, a creative game where participants had a relay race through a pharmacy. 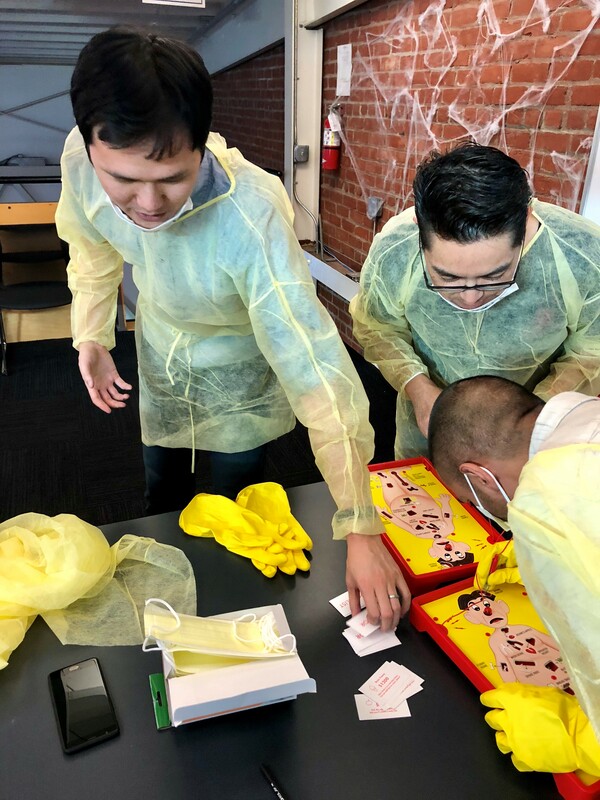 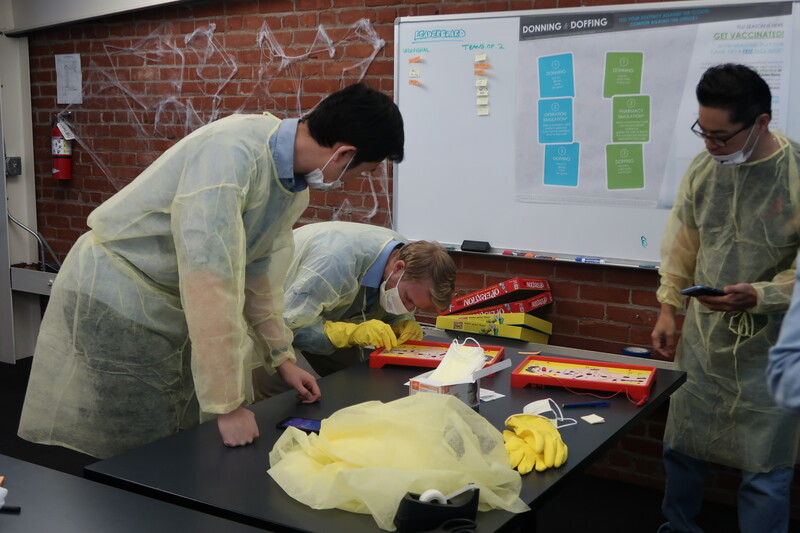 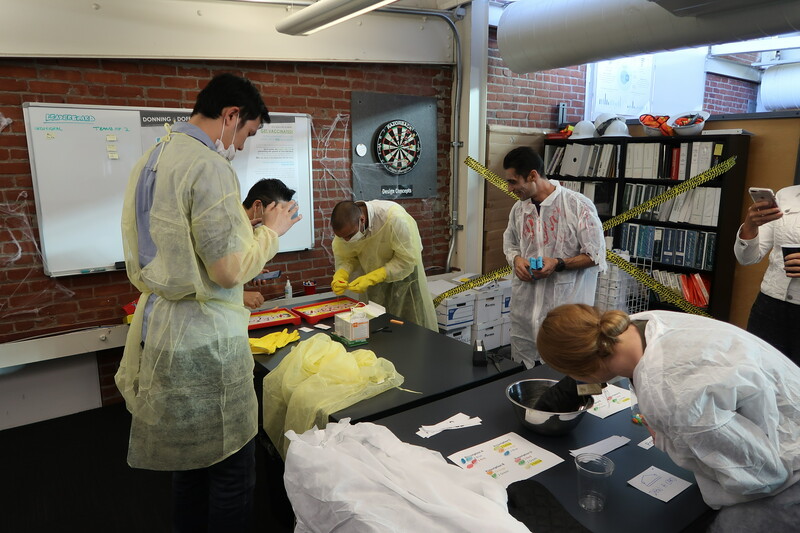 The first round of the relay included dressing in pharmaceutical attire and trying to remove a body part from the board game “Operation” while wearing rubber gloves, then moving on to change into other attire and fill a cup with candies (medication in this case) while wearing an oven mitt. 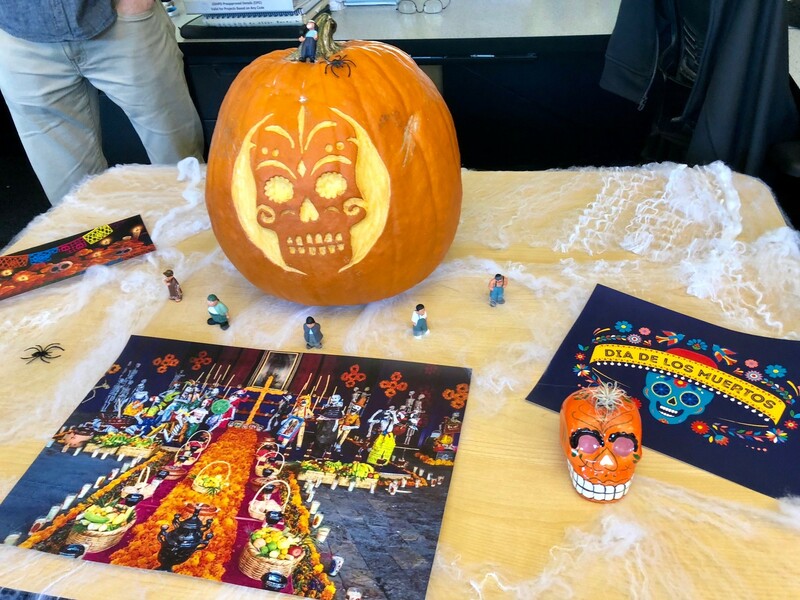 All race times were recorded and ranked from best time to worst time. 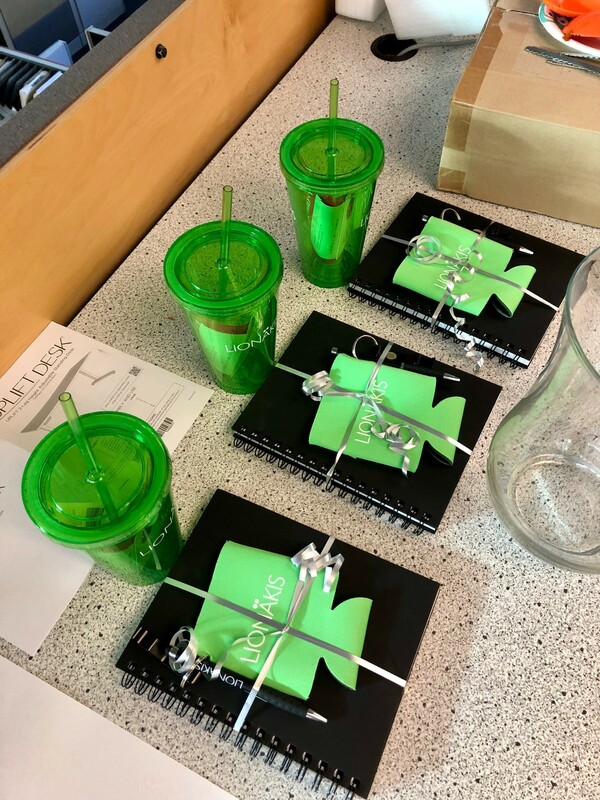 Each game participant received entry in the raffle with prizes that included all the best Lionakis swag. 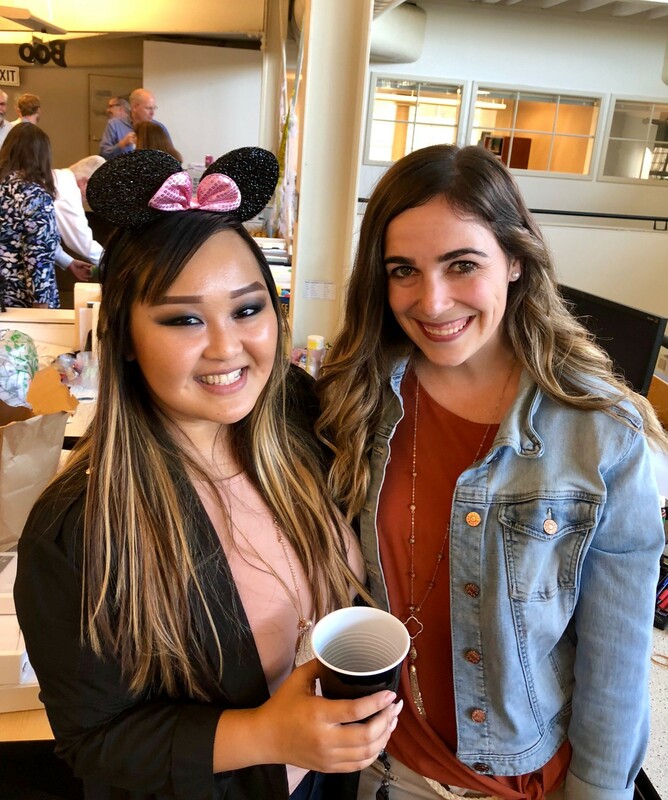 It was a fun-filled night getting to learn more about all things healthcare while bonding with co-workers in all markets across the firm! 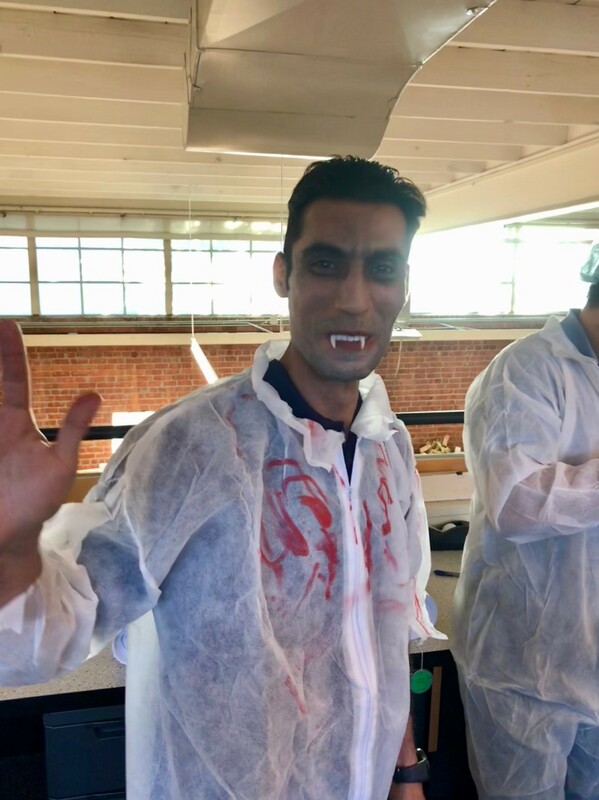 Thank you to the entire Healthcare team for hosting such a frightful event!